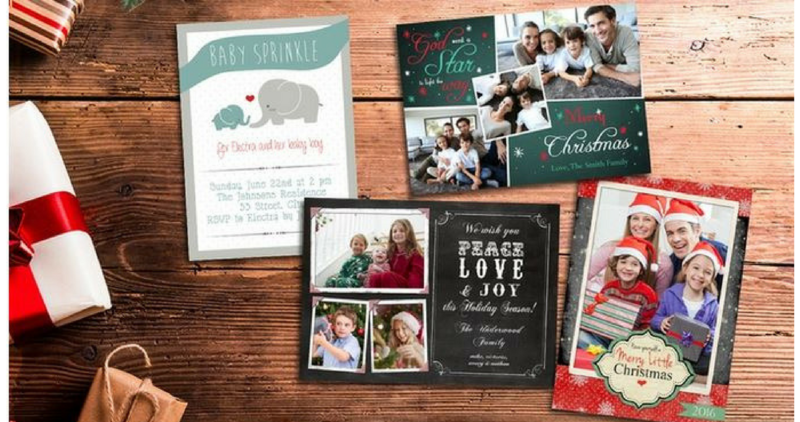 Combine today’s Living Social Coupon Code with a 90% off deals to get Folded Holiday Cards with Envelopes for 28¢ per card! Folded cards with envelopes generally start at 75¢ each on sale at other places, so this is a super deal! Note: keep in mind you do not have to have your pictures ready before buying the deal, just buy the deal today and then you’ll have up to 180 days after purchase to design your cards. Total comes out to $21 or 28¢ per card! Offer is for today only, 11/14. Thanks Tambry for letting us know about this great deal! See more great photo deals!